South Down MLA Sinead Bradley. 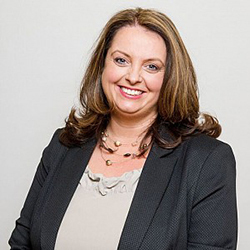 SDLP Spokesperson for Infrastructure, South Down MLA Sinead Bradley, has hit out at the announcement that in the event of a ‘no-deal’ Brexit passengers will have to carry insurance if they cross the border by rail. Sinead Bradley said: “As is well known, thousands of people in Northern Ireland cross the border each week for work and business purposes, many using rail networks to do so, in particular the Belfast to Dublin line. “It is outrageous that in the event of a ‘no-deal’ Brexit, rail customers travelling across the border must ensure that their insurance and ticket terms and conditions are sufficient to cover possible disruption.